A level 4 BBB-EE contributor. 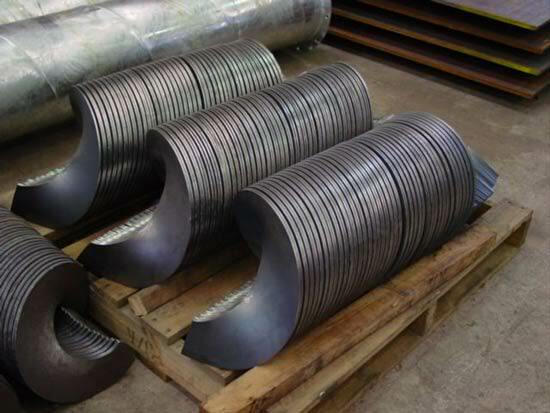 Flighting for augers, screw conveyors and trough conveyors can be manufactured in two different ways, depending on the manufactured material, the size and the application. 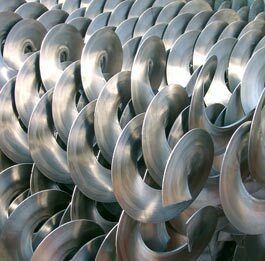 The choice is to manufacture in individual sectional flights or a continuous spiral flighting. Spiral flighting machines are capable of making a range of different sizes. 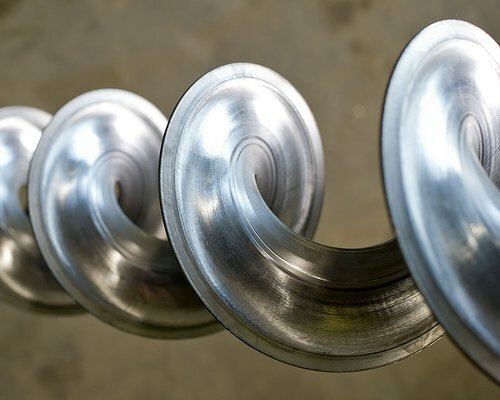 Mild or stainless steel metal strip up to 5mm in thickness, passes through a set of rollers and is “stretched” around around a shaft to form a helical shape. The result of this “stretching process” means that a 3mm continuous flighting measures approx 1.6mm on the outer edge and 5mm continuous flighting measures approx 3mm on the outer edge. Standard Length 3 metre sections. Sectional Flights or Segments are individually manufactured from flat plate and pressed into shape making them ideal for special sizes, pitch centres or situations such as where there is a lot of abrasion involved. 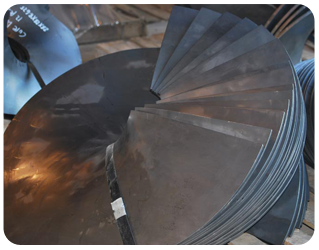 From 50mm to OVER 1500mm overall diameter – depending on material, thickness etc. Complete range of thickness of material depending on application. 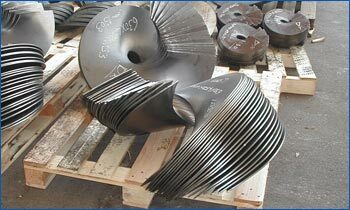 Please contact us for prices on steel spiral flighting or sectional or segmented flights or fill in our online form. We supply all these systems throughout Southern Africa.